There is no better combination than listening to music while getting around town, especially on a bike. But compromised hearing can lead to potentially dangerous situations. 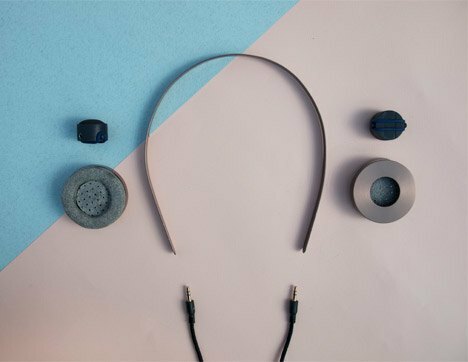 Gemma Roper, a Royal College of Art graduate, designed a set of headphones called Safe+Sound that play music through your cheekbones so you can be more aware of flows of traffic around you, much like a room with a speaker. 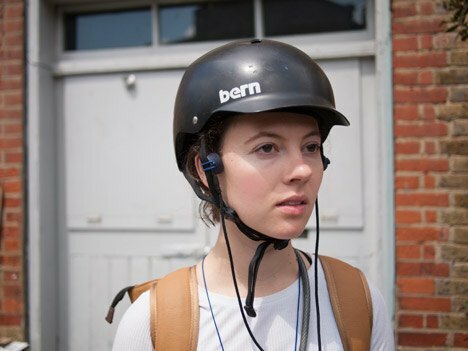 The construction involves bone-conduction transducers placed under neoprene, and held together with silicone to sit on the wearer's cheekbones while wearing a bicycle helmet. Roper first created a not-so-stylish prototype to get the mechanisms right, then evolved the design to be both discrete and functional. In the future, she says, "I would like to work with an audio engineer to refine the type of speaker membrane that would resonate sound from the bone conductor," she said. "I think that with better quality components the sound could be improved dramatically."